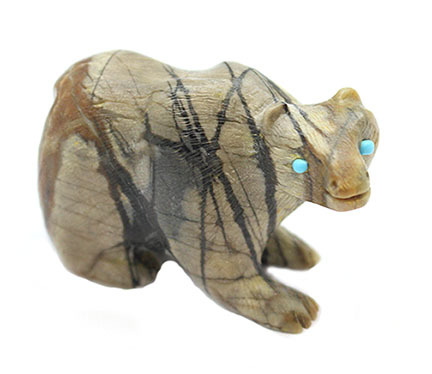 This bear is carved out of picasso marble serpentine and has turquoise dot eyes and is detailed. It measures just over 2" wide, 1 1/4" tall and about 3/4" thick. It is Zuni hand carved by Dane Malani. Only this one available.